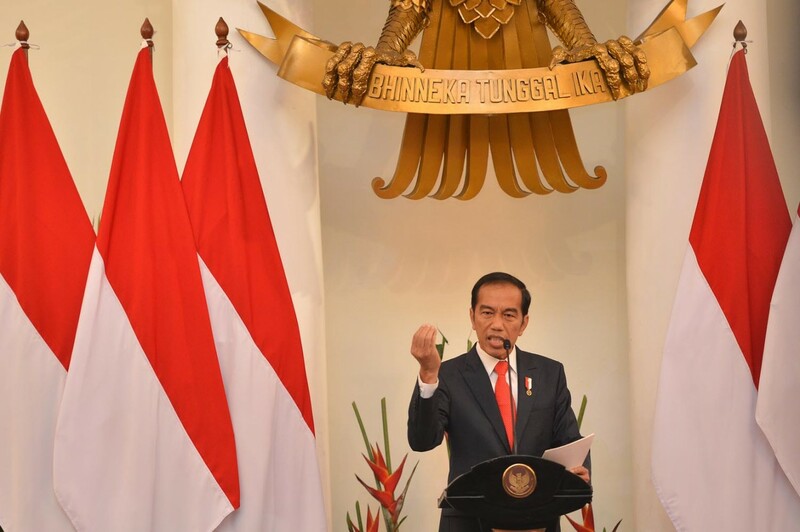 Indonesia will have its next presidential election in April next year, which will also mark the end of President Joko “Jokowi” Widodo’s first term. While there’s still one year left before the next election, political debates have dominated talks in the nation. Climate talks, however, remain tragically absent as policymakers are busy trying to hold on to their powers through political maneuvers, despite the fact that Indonesia is one of the largest greenhouse gas-producing countries in the world, largely due to deforestation, peatland degradation and forest fires. What politicians, including Jokowi, forget is that the fate of the people they’re supposed to be serving depends on whether we manage to mitigate the impact of climate change. Indonesia is among the countries with the highest risk of being affected by climate change as many of its islands could disappear from rising sea levels. A government official last year said Indonesia had already lost 29,000 hectares of land due to rising sea levels in the northern part of Java Island and other regions, about the size of Hawaii's Honolulu. And if the government doesn’t act fast, we could also lose Jakarta, the capital city from where it rules the country. Jakarta is sinking so fast that it could end up underwater due to rising sea levels and more extreme weather brought by climate change. At the same time, locals illegally drain groundwater because they are facing a shortage of water supply, further sinking the capital. As a result, about 40 percent of Jakarta now lies below sea level. Jakarta is also on the brink of water crisis, akin to what’s happening in South Africa’s Cape Town, which is in the grip of a drought that could bring it to become the first city in the world to run out of water. Prolonged drought caused by climate change might escalate the risk of a water crisis in Jakarta. All this begs the question, why does the government treat climate change like an afterthought? In order to successfully mitigate the impact of climate change, one needs to have robust and strong climate policies. Yet, Indonesia’s existing climate policies have been criticized for not being strong enough, especially compared to other top emitters like India, which is set to take a global leadership position in the transportation sector following its government announcement to ban the sales of diesel and petrol-powered vehicles by 2030, thus allowing only electric cars to operate in the country. As a top carbon emitter, Indonesia has pledged to reduce its emissions growth by at least 29 percent over business-as-usual levels by 2030. That means it can emit no more than 2 gigatons of carbon dioxide that year. But an analysis by Washington-based think tank World Resources Institute (WRI) shows that barring no drastic measures, Indonesia will miss its emissions reduction target. According to the analysis, even if Indonesia fully implements its existing policies in the land-use and energy sectors, the country will only slash its carbon emissions by 19 percent, a far cry from the country’s target of 29 percent emissions reduction. Indonesia’s target has also been criticized for not being stringent enough. Climate Action Tracker, an independent scientific analysis tracking climate action, gives Indonesia’s commitment an “insufficient” rating as it’s not consistent with holding warming to below 2 degrees, let alone limiting it to 1.5 degrees. Indonesia’s efforts to achieve its climate target are also deemed to be weak. In the latest Climate Change Performance Index, an instrument which evaluates and compares the climate protection performance, Indonesia ranked 37th out of 56 countries and the European Union, falling under the classification of “low-performing country” because of its high deforestation rate and lack of bold action to phase out fossil fuels. Indonesia’s energy policy is filled with contradictions. On one hand, the government wants to promote renewable energy. But at the same time, it also wants to continue to rely on coal as its main energy source. While Indonesia aims to boost the use of renewable energy in power generation by 2025, increasing its portion in the energy mix from 12 percent in 2017 to 23 percent in 2025, coal will remain the primary source for energy in the country with 54.4 percent in 2025. Worse yet, the government plans to shift its focus to using coal again after 2025, increasing the portion of coal in the energy mix to 58.5 percent by 2027, according to a recent report by The Jakarta Post. Indonesia’s coal policy is at odds with the rest of the world. Globally, a coal phase-out campaign is gaining momentum, supported by commitments from 34 countries and subnational entities. As a result, only seven countries initiated new coal power construction at more than one location in 2017. And yes, Indonesia is one of them. Indonesia’s continued reliance on coal will lock the country in a high-carbon economy and threaten to derail its climate policies and actions. As Jokowi approaches the end of his first term, he has the power to make a decision that might serve as a turning point of his leadership. Does he want to end his leadership with weak climate policies that left his people at the mercy of extreme weather and rising sea levels brought by climate change? Or does he want to make climate change his top priority to protect the lives of the hundreds of millions of people he has sworn to lead and to protect? Does he want to be a climate leader not only for Indonesia, but also for other countries threatened by climate change? It’s not too late for Jokowi to put stronger climate policies in place by curbing the deforestation rate, phasing out dirty fossil fuels and ushering a new era of low-carbon development, among other things. Indonesia has many untapped opportunities, especially in renewable energy, that it can harness. With its large amounts of hydropower, Indonesia has the potential to generate 788,000 megawatts of electricity through new and renewable energy. A 2017 report by the Institute for Energy Economics and Financial Analysis (IEEFA) also shows that Indonesia can afford to cancel at least nine coal projects as the country’s future electricity demand growth has been greatly overestimated. Failure to do so will force Indonesia to pay for energy it’s not using for decades. And Indonesia could also do more to curb deforestation rate and plant trees, which soak up carbon dioxide as they grow, so much so that it is considered to have the single largest potential for storing carbon of any land-based natural climate solution. According to data from the government, there are 24.3 million ha of degraded land out of 190 million ha of forest areas in Indonesia. The government aims to rehabilitate 12 million ha of degraded land by 2030, or 800,000 ha per year. Yet, our state budget only allocates enough money to reforest 200,000 to 300,000 ha of degraded lands per year. And there hasn’t been any information on how much progress has been made in the reforestation program. But since limiting global warming to 1.5 degrees by 2100 would involve removal of carbon dioxide from the atmosphere, reforestation is an essential component of climate change mitigation that the government can’t ignore. Lastly, the government could strengthen its forest moratorium to further curb the deforestation rate. Currently, the moratorium only applies to new licenses on “primary” forests and peat swamps. Critics of the moratorium say it is poorly enforced and that it should also cover all forests, not just primary forests. A primary forest is an ancient forest, as opposed to a “secondary” regenerating one. By improving enforcement and renewing the moratorium through 2030, we can reduce emissions by 188 million tons of carbon dioxide, according to the WRI. Expanding the moratorium to include both secondary forest and forested areas already licensed out to developers could further reduce emissions by 427 million tons of carbon dioxide in 2030. But time is ticking fast. Some experts believe we only have two years left to take drastic actions on climate change before the goals laid out in the Paris Climate Agreement become almost unattainable. And while progress in renewable energy has been made, new data released by the International Energy Agency revealed that carbon emissions from the use of energy rose again by 1.4 percent in 2017, after three flat years. The rise in carbon emissions was spurred by an increase in fossil fuel demand last year, including the global coal demand which rose by 1 percent after a two-year decline. Therefore, Indonesia should act immediately and aim for 1.5 degrees if it wants a chance to survive. Born in Indonesia, Hans Nicholas Jong is a Jakarta-based environmental journalist. Before joining mongabay.com in 2017, Hans worked for The Jakarta Post for five years. Having covered a wide range of issues from the elections to the economy, Hans found his passion in the environment. Being surrounded by people who dedicated their lives to protecting the environment fueled Hans’ interests and desire to write about the complexities of environmental issues in Indonesia and other countries. 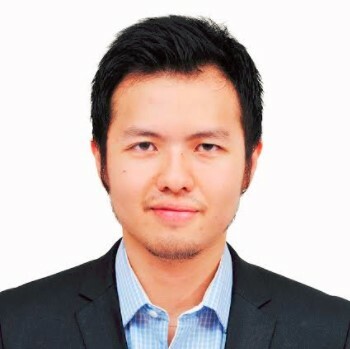 Interested in writing for thejakartapost.com? We are looking for informative stories and opinion pieces from experts in a variety of fields, and others with appropriate writing skills. All content must be original on any of the following topics: lifestyle (beauty, fashion, food), entertainment, science & technology, health, parenting, social media, sports. Submit your writing to [email protected]. Click here for more information.